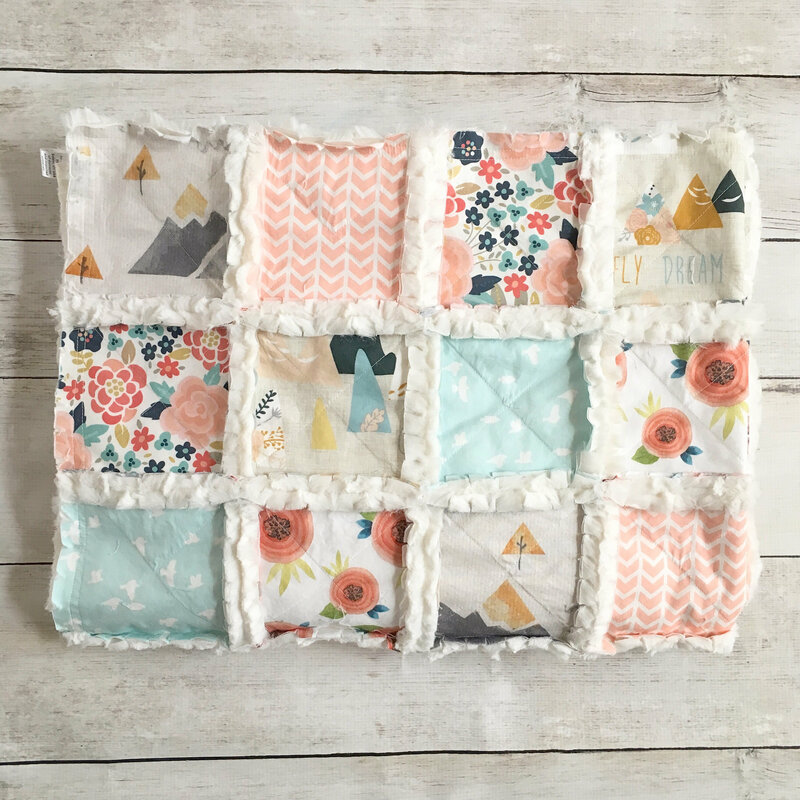 Mountain adventures meets feminine florals in this cute custom mix. 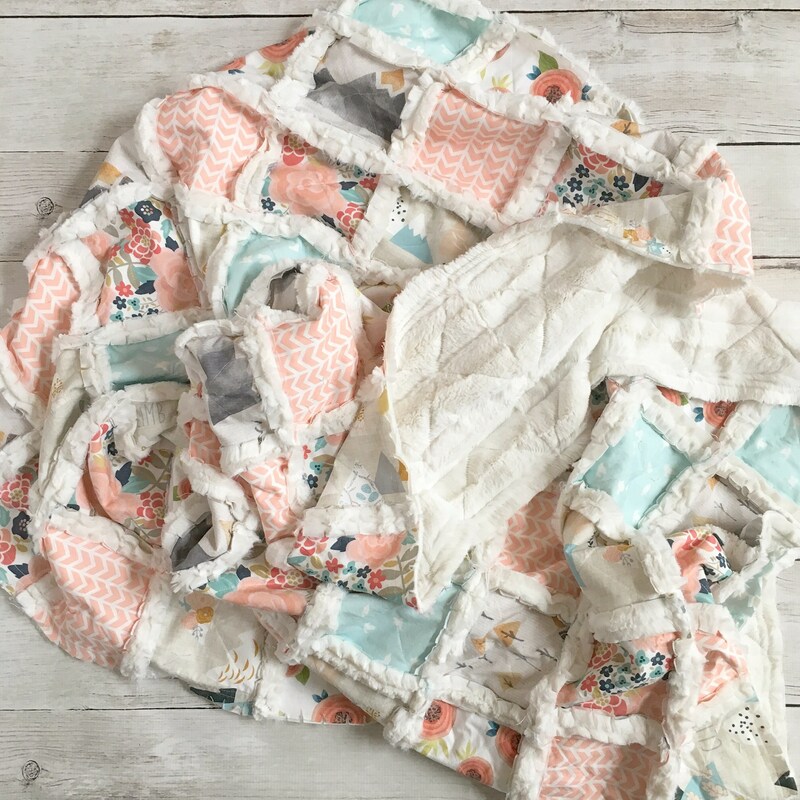 The bright spring florals are the perfect offset to the neutral colors in the mountain prints. 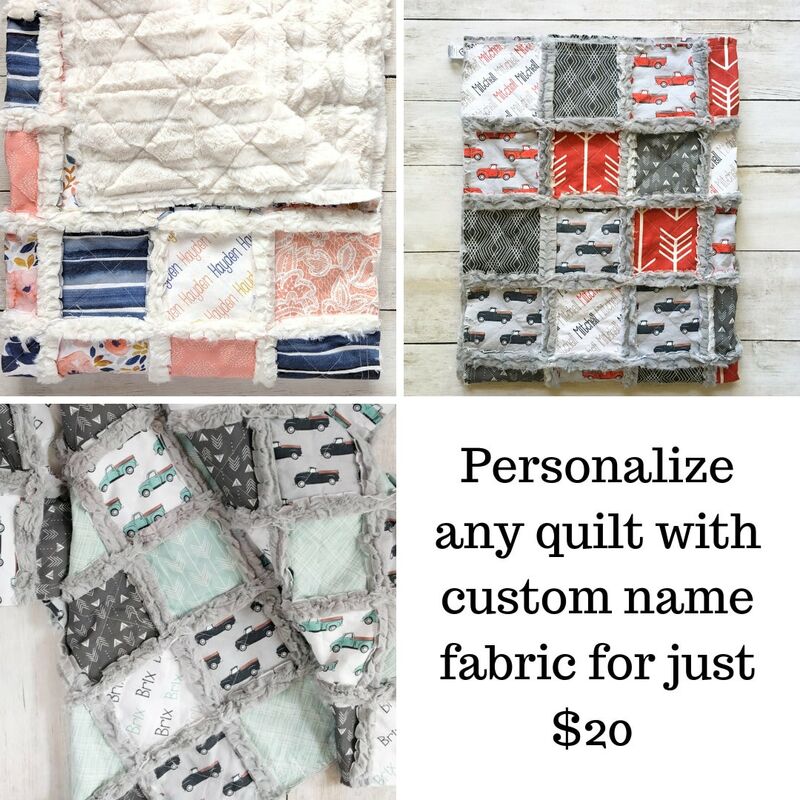 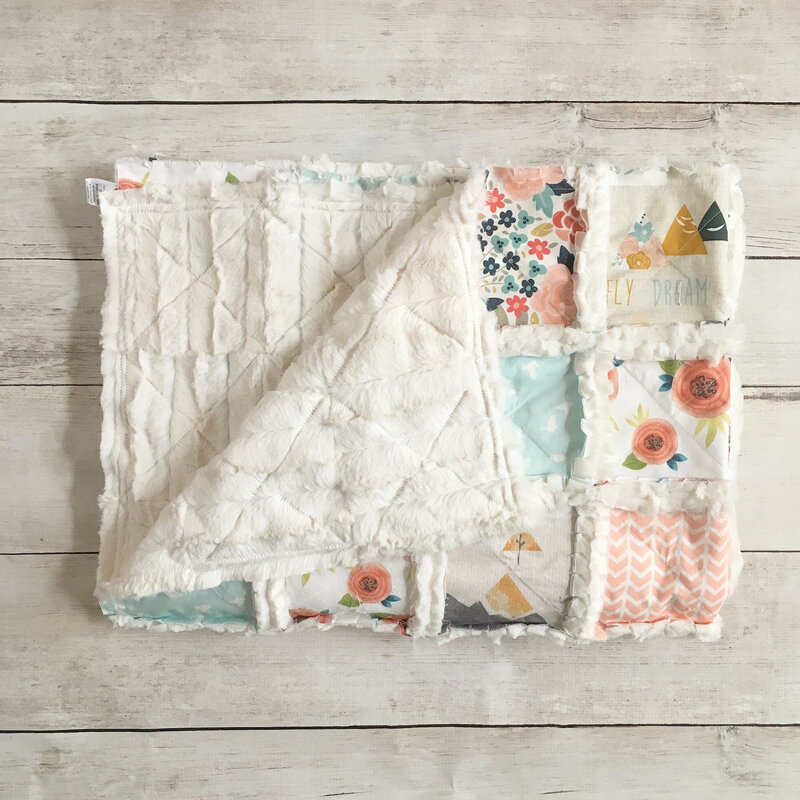 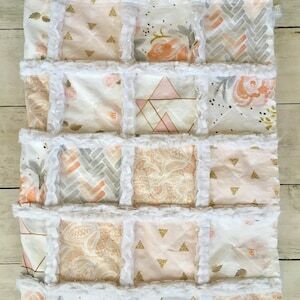 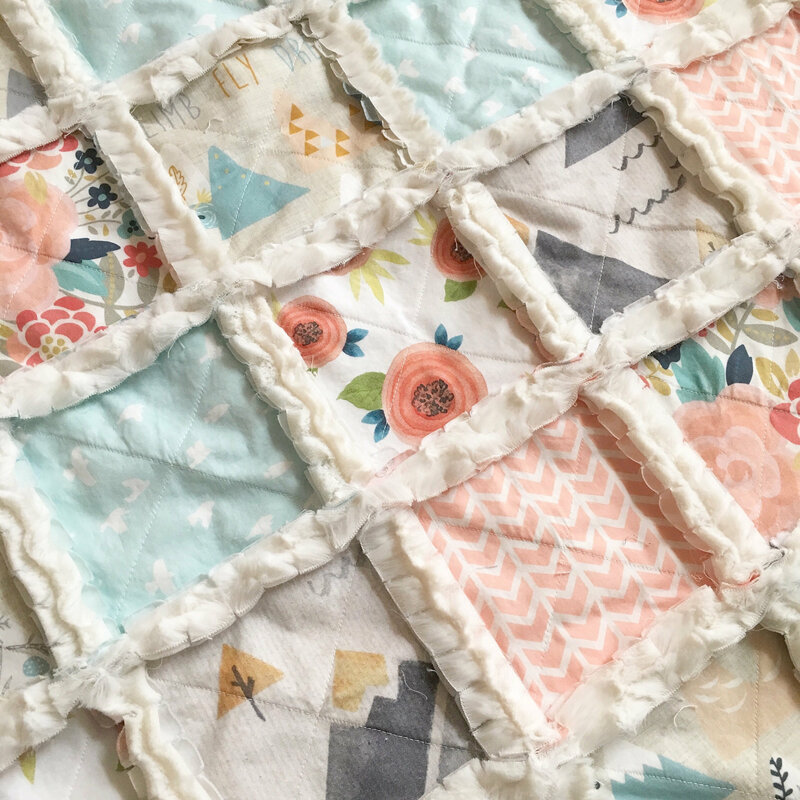 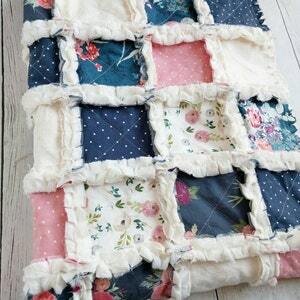 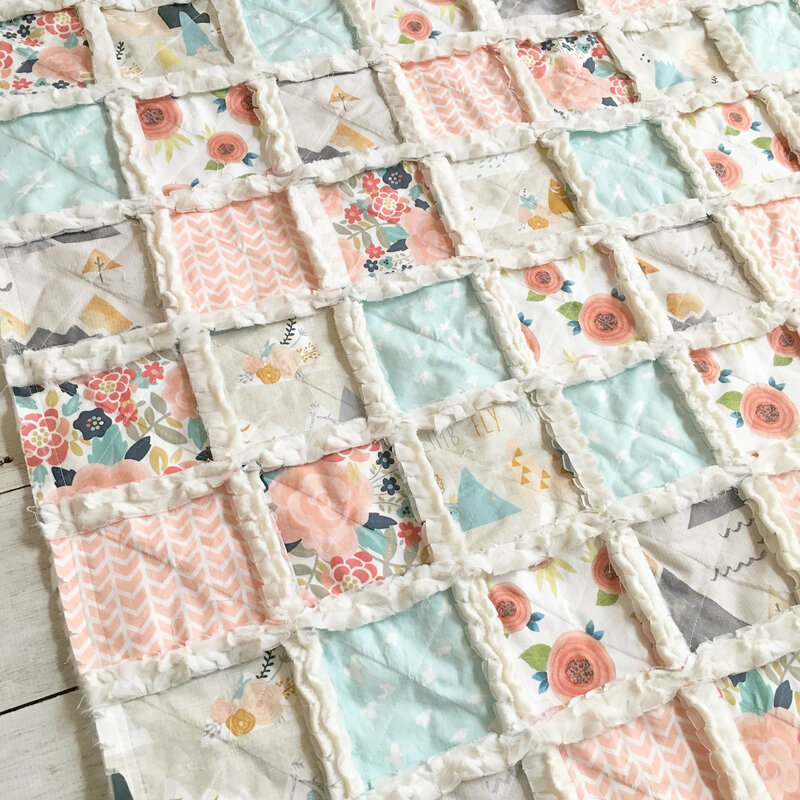 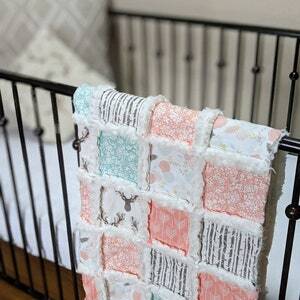 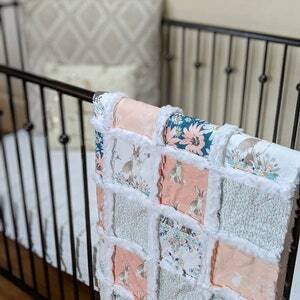 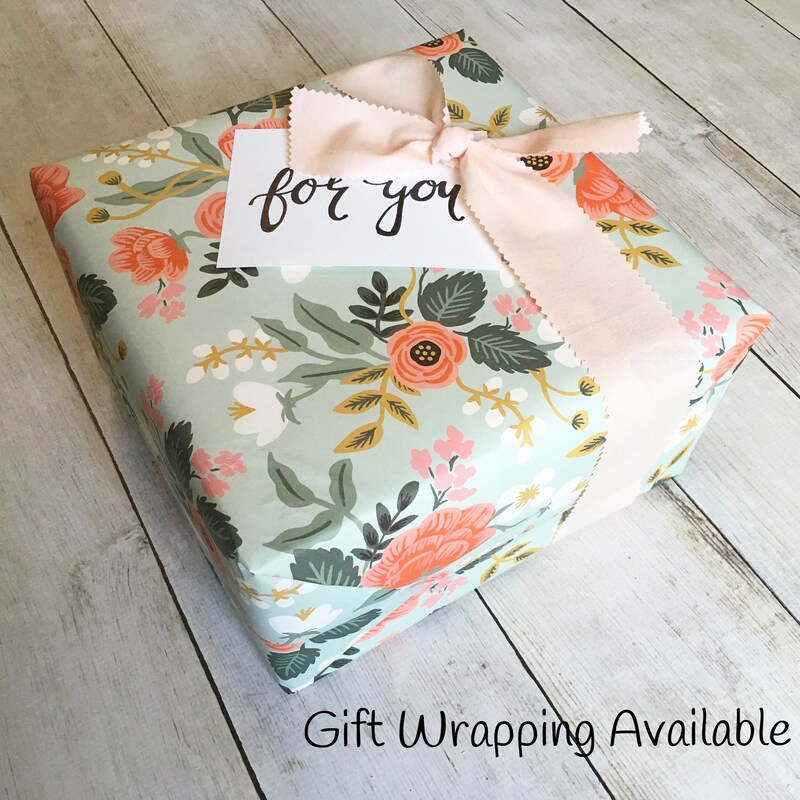 This quilt includes bright aqua, coral, and a hint of navy blue as well as soft beige and grays. 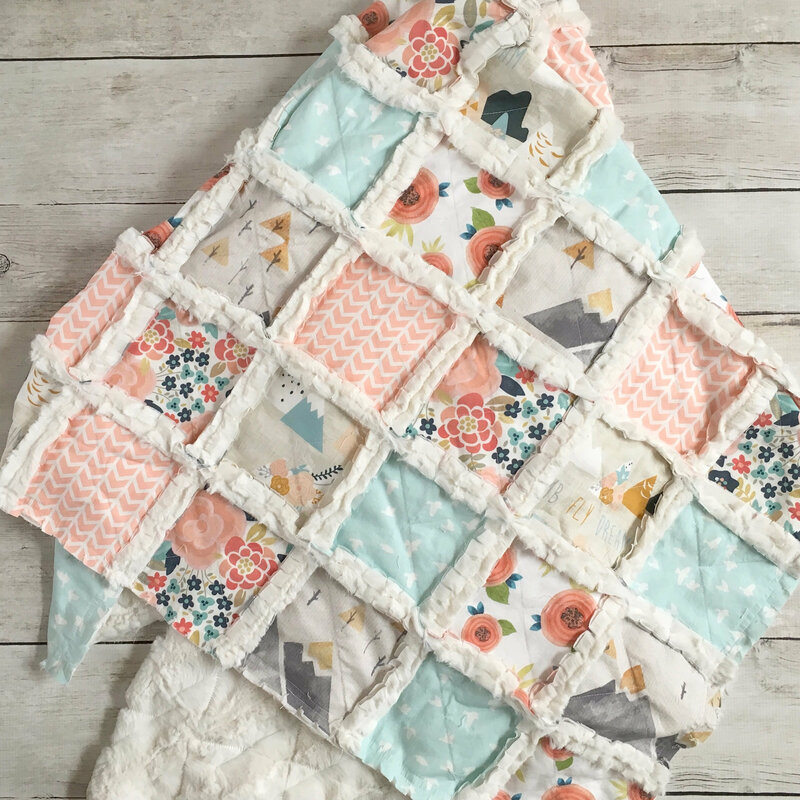 The back will be made with fluffy ivory minky, which is so soft and perfect for snuggling.